While Google gives its email users well over 10 GB of storage for messages, if you’re not diligent about decluttering your inbox 4 Decluttering Tips for Newsletters If You Don't Want to Trash Them 4 Decluttering Tips for Newsletters If You Don't Want to Trash Them How many e-mail subscriptions do you have? If you're like me, you have absolutely no idea, but you know that it's a lot. It's time to take action. Read More , you might find yourself running dangerously close to using up that quota. I know this from personal experience. But Google, being Google, makes it incredibly easy to search for really old messages and delete them in one go. The first step is determining how old a message is to warrant bulk deletion. For argument’s sake, let’s say two years. Using Gmail’s search parameters, you would look for the messages using the search parameter older_than. The search parameter works in days or months. Now this method does mean that, unless you’ve filed away important messages in folders, you could be deleting important messages. If your aim is to delete only newsletters and impersonal emails, this will require a little bit more effort on your part. You could use the method listed above and delete one page at a time, skimming to make sure you don’t delete something you meant to keep. If you haven’t read it in two years time, chances are it’s not that important. If you’ve found that Gmail’s tabbed inbox has done a good job of categorizing your email, you could use the labels — Promotions, Social, and Updates — to delete emails in bulk. The really slow way to do this, but that would ensure that you don’t inadvertently delete something you wanted to hang on to, is to open up newsletters, click the “More” button at the top of the page, and choose “Filter messages like these”. Rather than create an actual filter, just click the search icon. This will pull up all emails from that contact, which you can then delete in bulk as outlined above. What tips and tricks do you use for cleaning out your Gmail inbox? Let us know in the comments. I search "me" or "from:me", gmails only option is "move to inbox", tho I want to move to another folder, which is an available option when viewing emails individually. 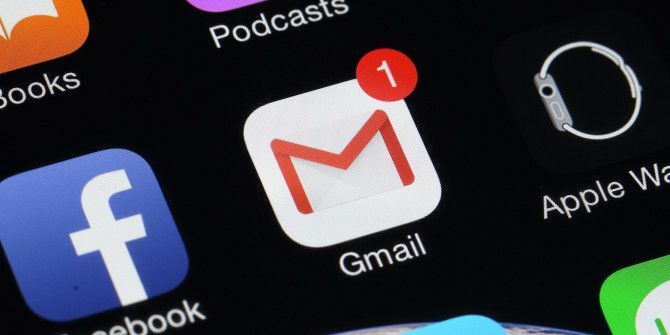 If you accumulate storage space with loads of emails,then gmail will charge a yearly fee so it is in their benefit to not make it easy to clear the gmail junk. Outlook Express Classic is helpful in sorting thru gmail junk but not all systems can use this helpful program, such as chromebook. I'm looking for an email service that helps you organize and delete in bulk that works with chromebook. I have something like this set up. It takes anything older that 2 or 3 months from a particular folder (where my bulk mail goes) and deletes it once a month. I go in manually deleting if I start getting close to my limit because I don't save anything that I don't want to keep in the other folders. I Have A Free GMAIL Account Of 19GB - The Initial 15GB + 2 Times 2 GB Of Their ( Usual ? ) SPRING Offers Of The Last 2 Years. My Account Is 91%Full, With 640,000+ Mails. Every Time My Account Reaches 96%, I Delete The Oldest 3 Months Of Mail. If A Mail Is Top Priority To Keep, I Import It Into M$OFFICE2K3PRO And Save It In The Simplest .MSG File Format.